In 2012 an initial visit to Central Chile sparked an enduring arboricultural interest in this part of the world. 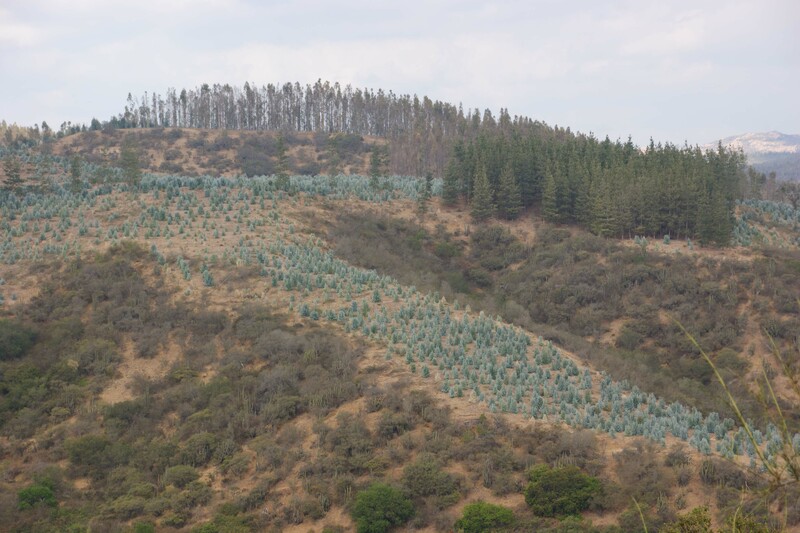 Once beyond the southern suburbs of the capital Santiago, distant vistas of Pinus radiata mixed with Eucalyptus globulus (unknown subspecies) growing in small lot plantations were rarely out of sight. The native Nothofagus forests are all but nonexistent here. Woodchip mills are commonplace along this part of the Chilean coast as are their associated outflows directly to the ocean. 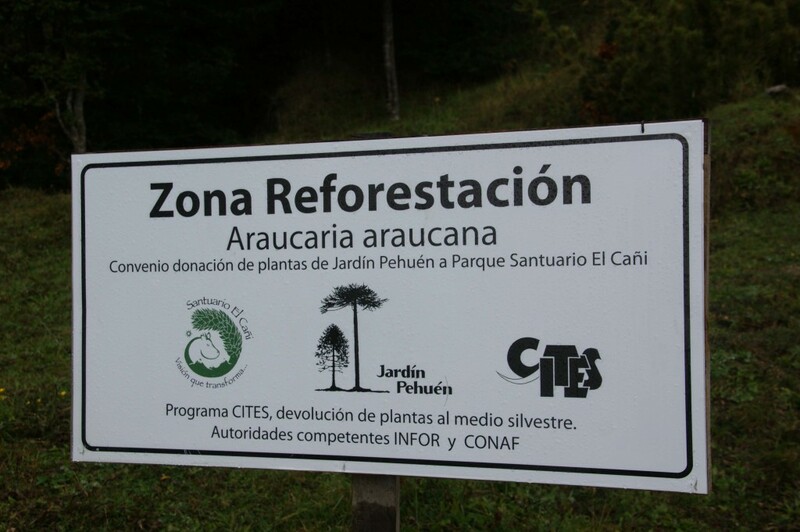 A 20 kilometre trek into Cani Sanctuary near Pucon to view the Araucaria araucana the Monkey Puzzle trees is definitely a consulting arborist’s bucket list activity. 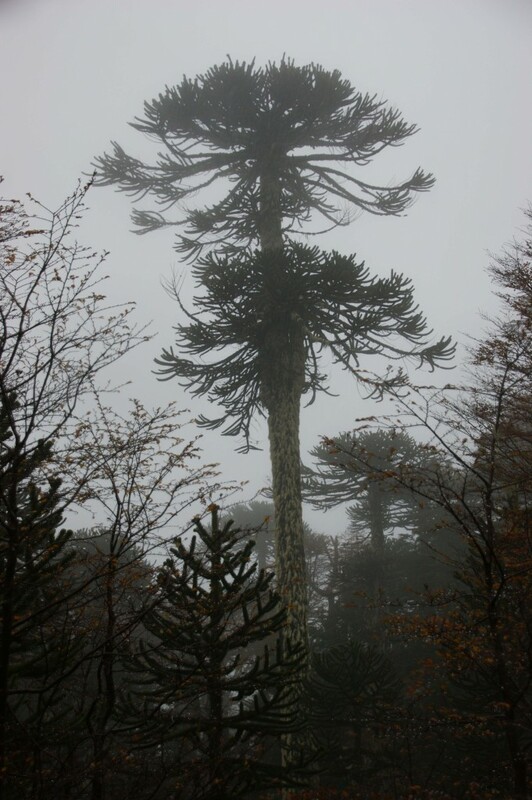 The Araucaria, or monkey- puzzle pine, is a relict, a coniferous holdout in a hemisphere where the forests have long since evolved to broadleaf species. Along with the ginkgo, it is thought to be the arboreal species with the most ancient lineage. Surviving almost unchanged for nearly a quarter-billion years, this marvellous tree from Jurassic times lives on in the Cani. (Source The Conservation Land Trust). This species is the national tree of Chile and gives its name to the 9th region of the country “Araucania”. The dwellings and public buildings (and firewood stacks) contain many beautiful local timbers with qualities similar to Tasmania’s Huon Pine or Celery Top Pine. Chile has a long struggle to preserve the last remnants of its native forest. Reforestation works on a global scale.